Join us for Mardis Gras Madness, our Biggest Fundraiser of the Year! 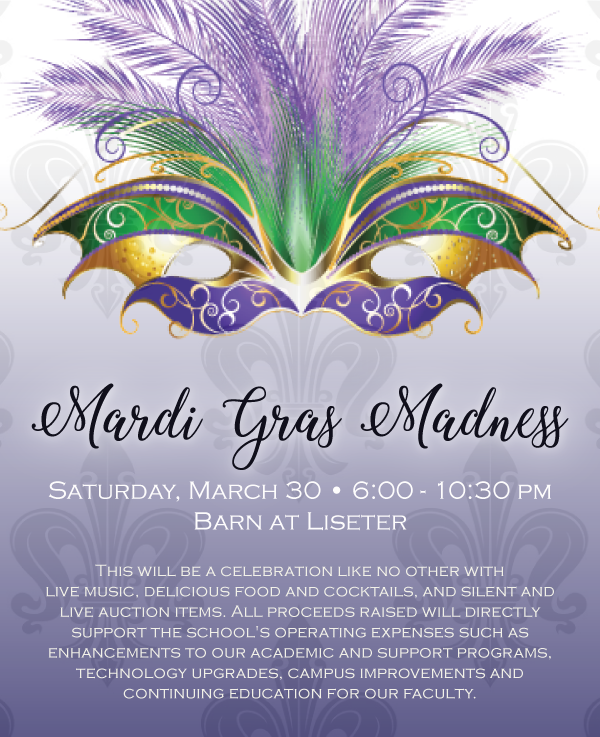 Mark your calendars for Saturday, March 30, 2019 for our Annual Fundraiser – Mardi Gras Madness! We would like to get an early start on collecting items for our fundraiser. Would you please consider helping by selecting some items on the Sign Up Genius link below to acquire for the event? If we all take on some items to have donated to our cause, we can make this the best year yet on behalf of our children!